Jo'Dent Multispeciality Dental Hospital in Miyapur, Hyderabad and started functioning as an Advance Oral Health and full-fledged Dental clinic in 2009 by Dr. Praveen Kumar as the Cheif Dental Specialist.Apart from a well equipped Dental Set-up, the clinic has state of art dental equipment including X-ray Machine, Fully automatic dental chairs, Sterilizer, Electro Surgery and Lasers. 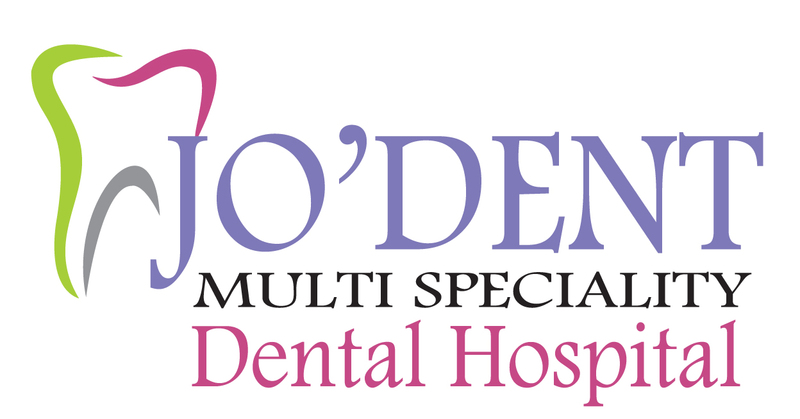 Jo'Dent Multispeciality Dental Hospital is a unique concept of using state-of – the art technology to provide dental care in comfortable painless procedures and welcoming environment. We take a great pride in the quality of our dentistry and want to make your visits a pleasant experience. Our aim is to offer good dental health with painless procedures for you and your family through prevention-oriented Dentistry. This means reducing your needs for dental treatment in future. The team members are known for their skills as well as their technical excellence.The Clinic is ideally located on the first floor. We are fully computerized; Using the latest techniques, technology, and materials helps achieve better results than in the past.